In some ways, the days of Fraggle Rock seem like such a thing of the past. It’s been more than twenty years since the original Jim Henson series ended its run on HBO. Still, the happy little creatures have remained very popular in the US as well as the UK, Australia, and New Zealand. In 2006, it was announced that the characters were being revived for an all-new feature film. That’s still in the works and now, a new spin-off is making its way to television. Fraggle Rock is the 1983 brainchild of innovative genius Jim Henson, the creator of the Muppets. 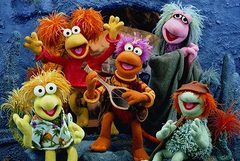 In a world filled with lots of color and music, the Fraggles are happy creatures that live in an endless maze of underground caves. The series showcases the talents of Jerry Nelson, Richard Hunt, Hans Helmut Dickow, Gerard Parkes, Steve Whitmire, Dave Goelz, Kathryn Mullen, Karen Prell, and Henson. The TV show ended its run in March 1987 but the characters continued on in Fraggle Rock: The Animated Series. That series debuted on Saturday mornings on NBC in September 1987, but it lasted just one short season. As you may recall, the care-free Fraggles live alongside the hard-working and tiny creatures known as the Doozers. Unlike their neighbors, the Doozers spend each and every day working hard, building the edible infrastructure of the caves. Does the new Doozers series sound like a good idea? Apparently, these industrious little guys are ready to keep right on working — they’re returning to television in their own series. The Doozers will be aimed at the young children in the 4- to 7-year old range, and will be ecologically friendly. The creatures have truly always seemed like the ultimate recyclers — doing their construction with items that the Fraggles could eat. And now, they’ll be leading kids to make smart eco-friendly choices. They’ll invent gadgets and structures that support ecology. 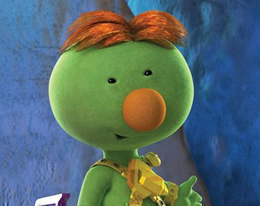 The series will primarily revolve around three young Doozers named Baxter, Puzzlebea, and Daze. It’s unknown at this point if any of the characters or talent from the original Fraggle series will be part of this new project. We do know that it will be a 3-D animation show so apparently there won’t be any puppetry involved, at least onscreen. The Henson company has been working on a number of series recently that have utilized complex computer animation systems to capture the movements of puppeteers bringing characters to life. All of this doesn’t come cheap of course. A $300,000 per half hour budget has been set for the segments. Broadcast interest is currently being gauged but if all goes well, the show is expected to go into production by Fall 2009 with a 2010 projected debut. It looks like the Doozers are going back to work. Image courtesy The Jim Henson Company.